The biggest character trait revealed in canon about the pony Sea Swirl is that she loved the sea. This comes from the card that comes with her mini in the blind bags. The only information this gives is that “She loves the sea!” in several different languages. But although she loves that ocean (referenced again in the My Little Pony mobile game, which states she loves watching dolphins), she apparently lives in Ponyville, which is nowhere near Equestria’s seas. 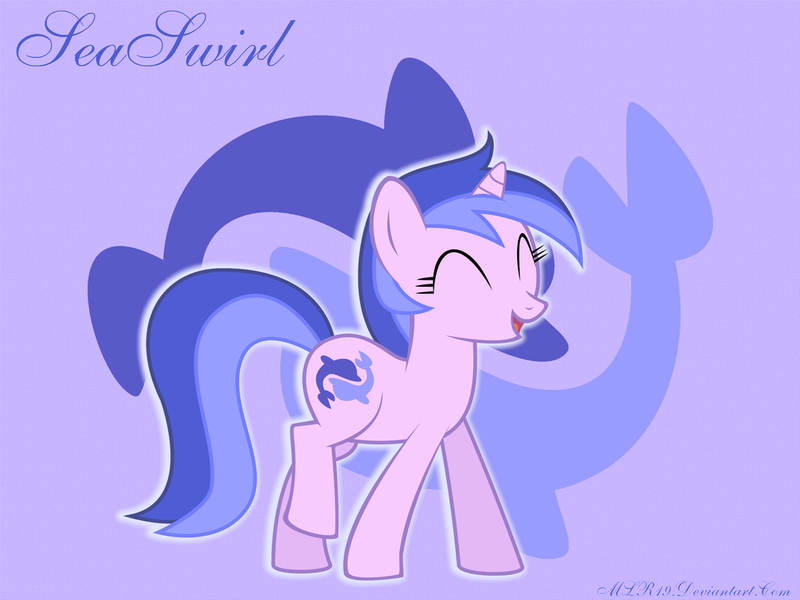 Sea Swirl has had a few noteworthy moments. As with many of the background ponies, she got to wear a unique outfit for Nightmare Night during Luna Eclipsed. (The animators must have seriously enjoyed putting the background ponies in all of these different costumes.) And she briefly acted as the unicorn goalie with Rainbow Dash and Apple Jack as they trained for a buckball game during Applebuck Season. That’s too fast! You scared her! But even though she has very little in the way of characterization, she’s still managed to carve herself a little niche in the fandom. There’s just something about the colors and dolphin cutie mark of this ocean-loving pony. The combination of lilac-colored fur and the idea of a pony who has a thing for the sea makes Sea Swirl stand out enough for a respectable level of fan art and wallpapers. Previous My Little Pony and Warhammer 40,000: Why Do These Two Fandoms Mix So Well?